We enrich people's lives by revealing the wonder and relevance of science. A lot has happened since the museum was founded way back in 1958. The museum itself has evolved, the world's understanding of science has grown in leaps and bounds, even our name has changed. The following is a glimpse of our past, as well as a short biography about our founder, John Elson Kirkpatrick. 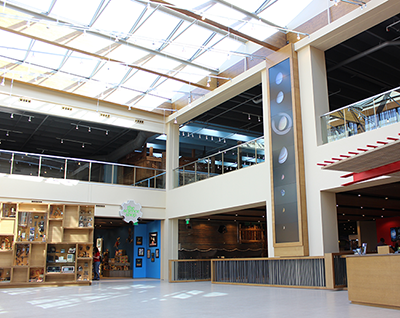 The museum opens its new atrium and celebrates the conclusion of a $22.4 million capital project including: CurioCity, a new entrance, exterior enhancements including a renovated parking lot, covered pedestrian path and the new Science Shop. 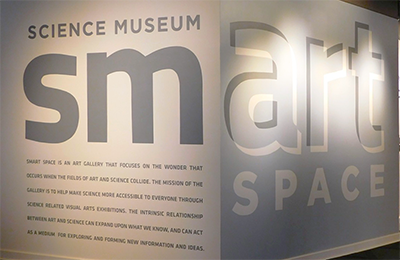 The museum opens smART Space, the museum's fully renovated art gallery. 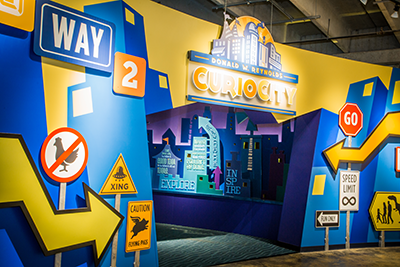 The museum opens CurioCity, funded by the Donald W. Reynolds Foundation. At 20,000 square feet this exhibition is larger than 95% of stand-alone children's museums in the nation. Science Museum Oklahoma announces a $12 million grant from the Donald W. Reynolds Foundation toward a $22.4 million capital campaign. The museum unveils a two-phase master plan to create a new exhibit for families with young children, new main entrance, lobby and exterior improvements. The museum continues to promote science literacy with the development of new exhibits and programs, offering visitors the chance to discover the relevance of science in their everyday lives and the board of trustees officially adopts a new name: Science Museum Oklahoma. Museum's board of trustees adopts a new mission statement: We enrich people's lives by revealing the wonder and relevance of science. Titanic: The Artifact Exhibit sets museum attendance record with over 217,000 visitors during its 7-month run. Seven-story giant screen Dome Theater opens, the state's first large-format, dome-screen theater. Kirkpatrick Center, Oklahoma Air and Space Museum and Science Museum Oklahoma merge to become Kirkpatrick Science and Air Museum at Omniplex. 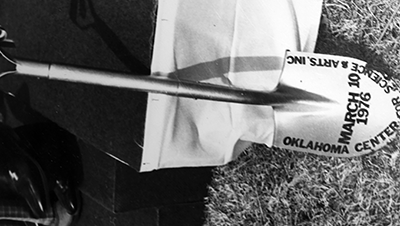 State aviation history unveiled in grand opening of the Oklahoma Air and Space Museum. 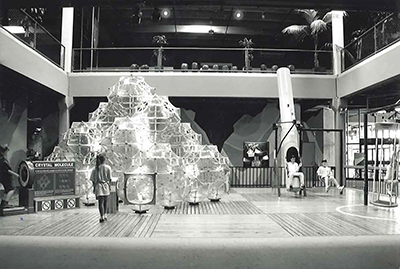 The Crystal Molecule comes to the museum, giving Oklahoma kids a memorable indoor climber with a futuristic feel. 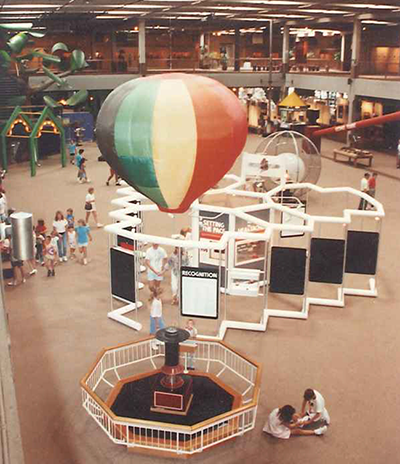 The attraction remained on exhibit until it fell into legend in 1999. Official Opening and Dedication of the Kirkpatrick Center on the site of the current location of Science Museum Oklahoma. Museum explores the concept of hands-on learning by developing activities for interaction with the exhibits. This was among the first of its kind. Groundbreaking for the new Kirkpatrick Center takes place at 2100 NE 52nd Street in Oklahoma City. 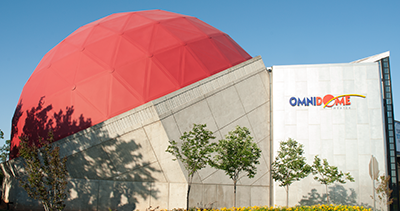 New OSAF building completed, including a permanent dome for the newly named Kirkpatrick Planetarium, provided by the John E. Kirkpatrick family. Oklahoma Science and Arts Foundation is established and housed at State Fairgrounds. Included are planetarium, museum and science department. 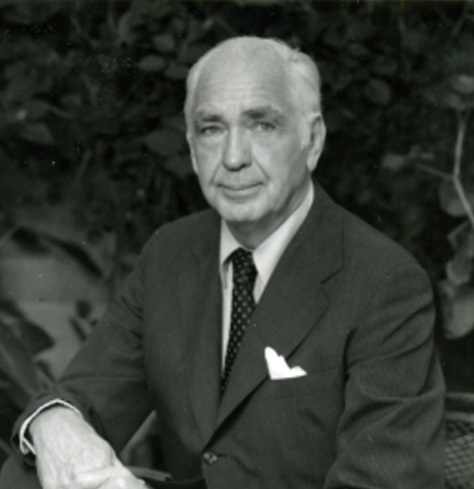 Admiral John Kirkpatrick was born February 13, 1908, in Oklahoma City and graduated from Oklahoma High School (later Central High School) in 1925 before attending West Point, Marion Institute, and graduating from the U.S. Naval Academy in 1931. In 1932, Kirkpatrick married Eleanor Blake of Mangum. During World War II, Kirkpatrick served 54 months at sea as a gunnery officer aboard the USS North Carolina and later served on the USS Alaska and the USS Oklahoma City. 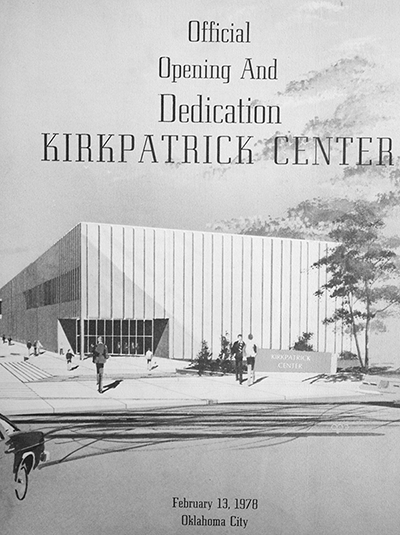 After the war, Kirkpatrick entered the oil business and in 1950 founded the Kirkpatrick Oil Company. As prominent civic leaders in Oklahoma City since the 1940s, the Kirkpatricks have given much to the communities and state of Oklahoma through their generosity and philanthropy, including multiple arts and education organizations. Their works are continued today through the Kirkpatrick Foundation. 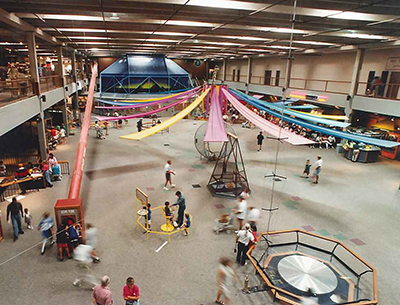 Science Museum Oklahoma was made possible largely through the support and generosity of the Kirkpatrick family.